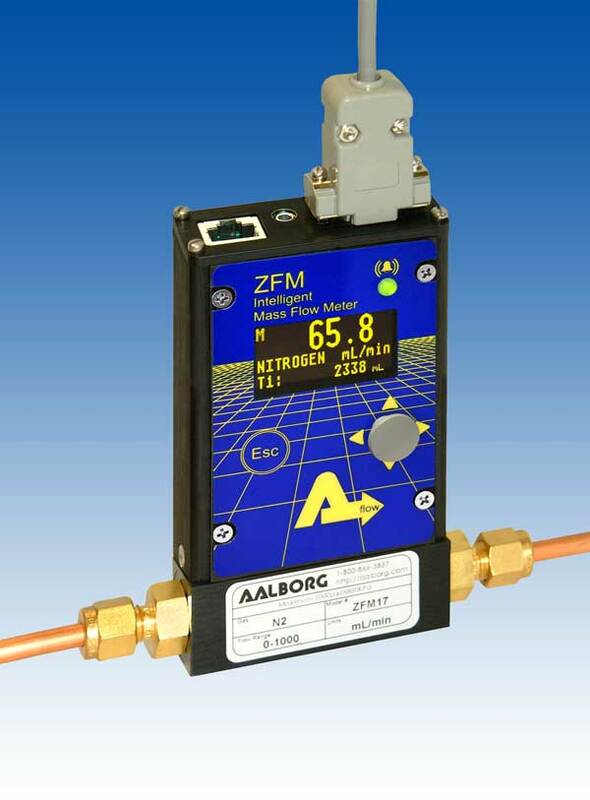 The ZFM is an intelligent “state-of-the-art” digital Mass Flow Meter. It is offered in “small footprint” aluminum or stainless steel versions. Running the free “ZFM Configuration Utility” software, the user can select different gas types and flow ranges on-site without disconnecting, within a few minutes. These meters facilitate lower ownership costs, by employing fewer units for multiple applications and saving on cost of calibrations.